Tag line: "The unsinkable ship. The unthinkable tragedy. Discover the Titanic...in a whole new light"
Years before the release of James Cameron’s Ghosts of the Abyss, in which a crew of filmmakers and researchers traveled to the ocean floor to explore the wreck of the Titanic, Titanica made the very same journey, using state-of-the-art submersibles and the latest in IMAX technology to bring this decades-old disaster to life. 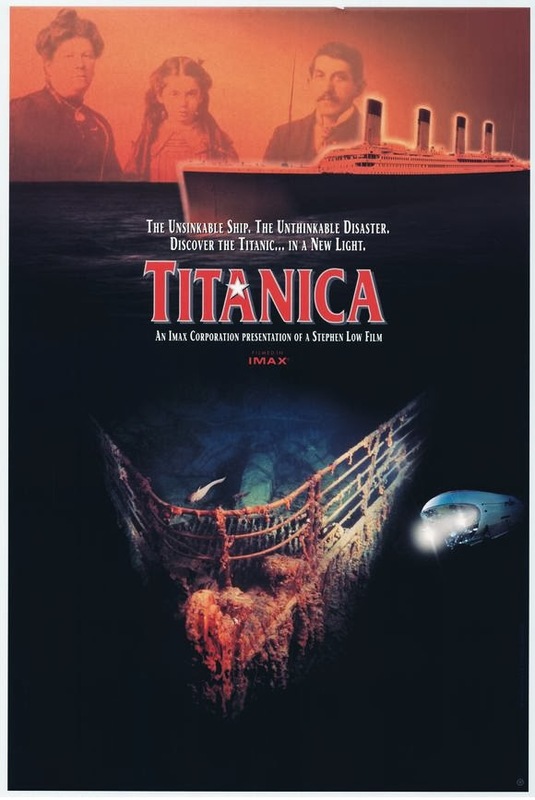 Narrated by Leonard Nimoy, Titanica takes us from the early days, when the Titanic was being built in a Belfast shipyard, to moments before it sank to the bottom of the Atlantic. Much like Ghosts of the Abyss, the expedition itself becomes part of the story; we’re introduced to the Russian / American crew that will carry out this mission, and are told about the dangers involved with such a deep-water excursion (at those depths, the pressure is so great that a single leak in the submersible would produce a stream of water so powerful it could slice a man in half). Yet it’s the human element of Titanic's story that provides Titanica with some of its most poignant moments. Eva Heart, a survivor who was seven years old at the time, tells of how she was placed in one of the lifeboats by her father. She had wanted to return to the cabin to retrieve her favorite teddy bear, but her father assured her the whole thing was merely a precaution, and she would be back on board the ship in a few hours. At that moment, Eva had the distinct feeling she would never see her father again. 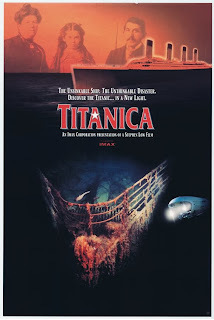 I’m an avid fan of Ghosts of the Abyss, which took the exploration carried out in Titanica to the next level by actually going inside the Titanic (two robotic pods, sent into the bowels of the ship, visited state rooms and storage areas that hadn’t been seen in nearly 100 years). Both movies are fascinating in their own right, and together would make for an excellent double feature. Watch Titanica and Ghosts of the Abyss back-to-back, and you’ll learn everything you need to know about the RMS Titanic.